Kidpik is a company that specializes in personal shopping for girls. 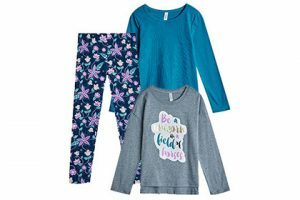 It makes it easy for you to get the most fashionable and adorable outfits for your daughter at more than reasonable prices, without spending hours picking out outfits that match your kid’s taste. As soon as you subscribe, you get to take a 3-minute style quiz and inform Kidpik about the unique style and preferences of your little girl. A stylist selects 7 items that can be combined to create 2-3 gorgeous outfits and the items are sent to your home. You and your girl get 7 days to decide which items you want to keep and which to discard. Returning the items you do not like is easy and free, with a prepaid return envelope enclosed in your box. Apart from the 7 handpicked items you get to purchase or return, the boxes also include one lovely free gift for your little girl. The average price per box is $89, which amounts to less than $13 per item. If you decide to keep all the items, you get a 30% discount. The boxes include both clothes and footwear. Everything comes in sizes 4-11. The boxes are available throughout the contiguous US. Shipping is free of charge on all boxes. Our ratings are the result of an objective and independent evaluation of Kidpik, generating the final rating that reflects the overall quality of the product. Ratings may change as the service changes. No user reviews yet! Be the first to review Kidpik. Before publishing each review, our team checks whether it was submitted by an actual user in an effort to prevent false or spammy reviews. We found 1 verified Kidpik promo code for April, 2019. $20 and 30% Off Get $20 off + 30% off if you keep the whole box + free shipping + free styling! Join our mailing list to receive exclusive updates, giveaways and coupon codes directly to your inbox. 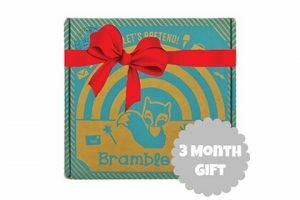 Subscription boxes have become one of the most popular ways of getting everything you need with minimum hassle and maximum convenience. With Top 10 Subscription Boxes, you can instantly discover the best subscription boxes currently available. Take your pick and never worry about replenishing your supplies again! We believe in the customer’s right to know everything. That is why we bring you honest, expert-made reviews of the top subscription boxes on the market, helping you make a safe and wise choice and get exactly what you need every time. The future of shopping is here. Make the most out of it.